The Baader 192 performs three operations in one machine: heading, gutting and filleting. This results in significant advantages. 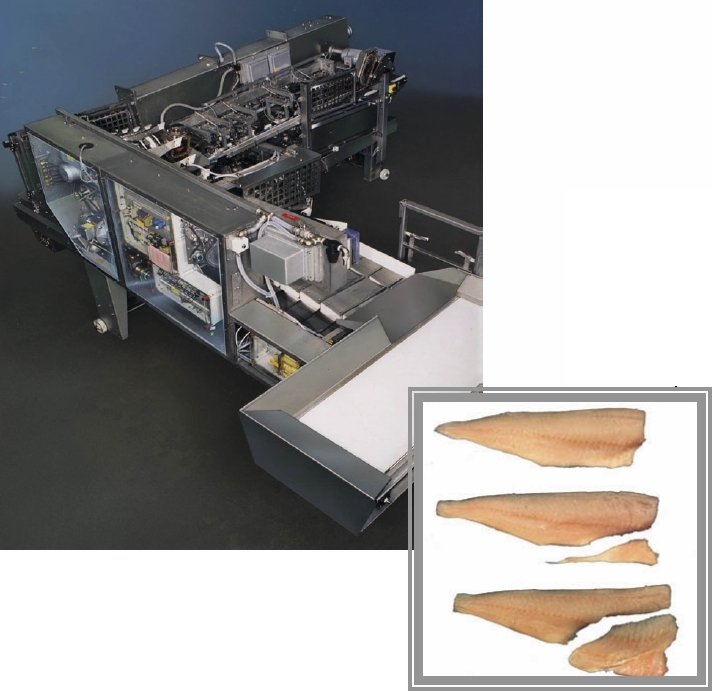 Since the machine does not use saddles, but instead operators place the whole fish into trays, a throughput of up to 80-100 fish / minute can be achieved! The working range is 40-100cm depending on the species. Additionally, the machine can perform a J-cut. Fish species: Cod, Saithe, Haddock, Hake, Alaska Pollack, Hoki and Pink Salmon.